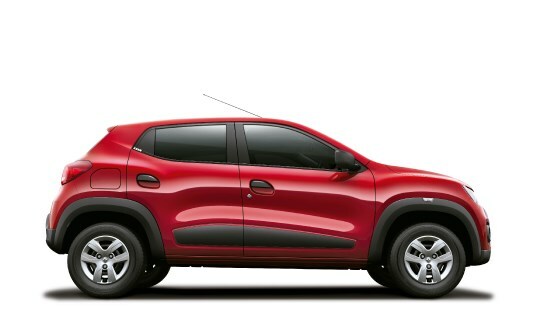 Kwid was inspired in a SUV design marked by the short front and rear overhangs and the high ground clearance. It exudes an impression of strength and robustness. 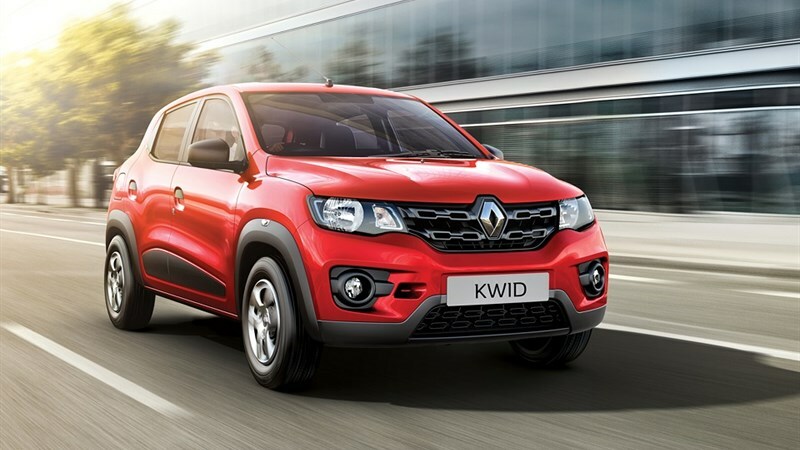 The front grille design is bold and highlights the Renault Diamond logo. 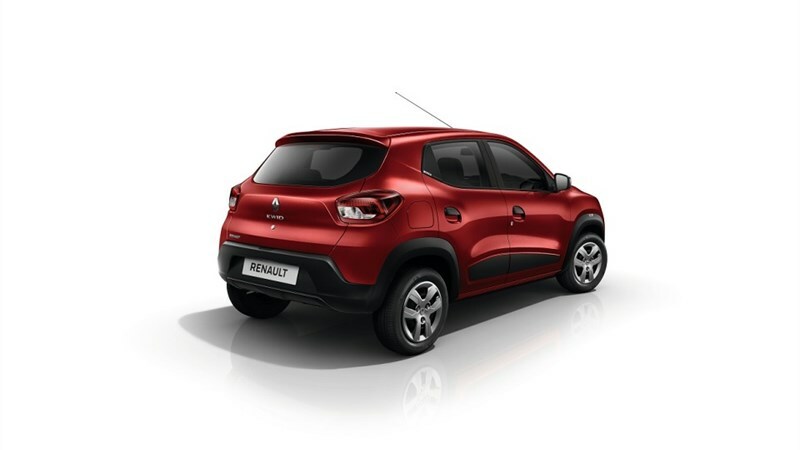 The headlights have the new lighting signature of Renault and incorporate a C-shape chrome trim. Front fog lights complete the front end styling. 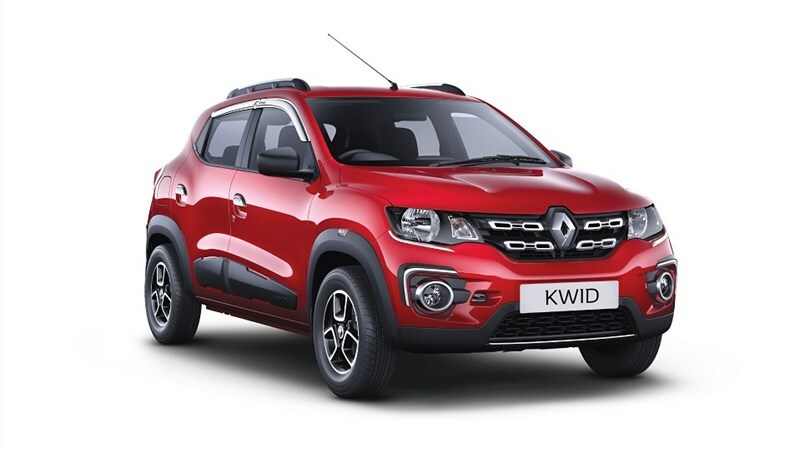 The sculpted sides and the rectangular forms of the black wheel arches further accentuate the Renault KWID’s SUV breeding. 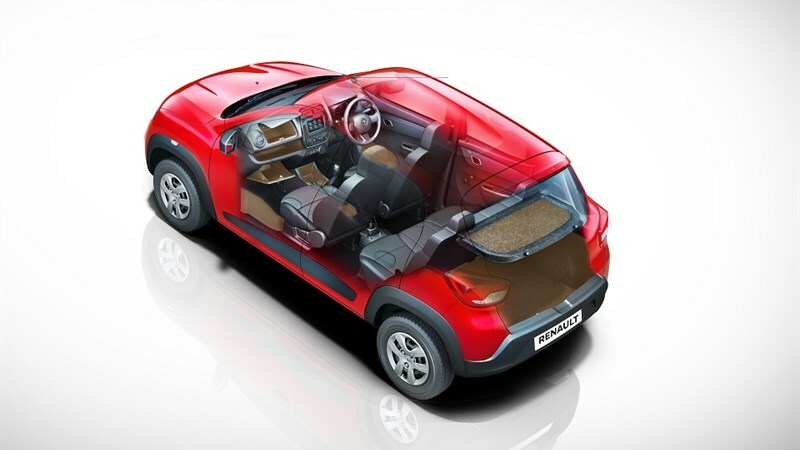 The steeply-raked, forward-positioned windscreen lends a sense of movement and fluidity to the car’s high waistline. 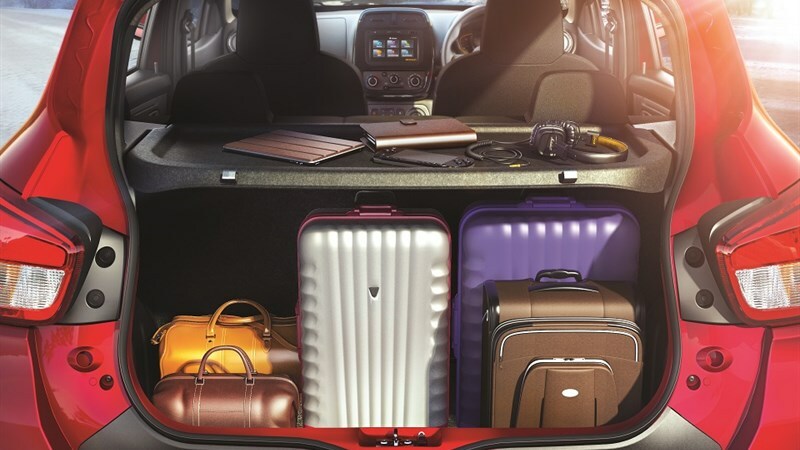 The rear bumper comes with a black trim, another SUV cue. While the integrated roof spoiler adds to the car’s dynamic stance. 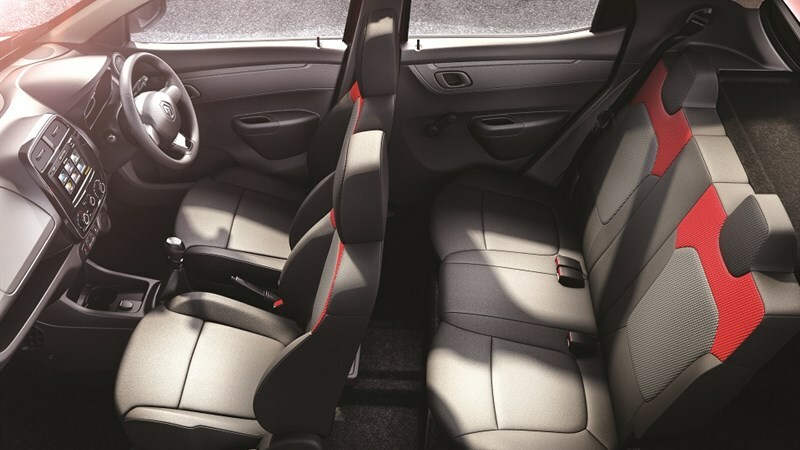 The Renault KWID's class-leading space that comfortably seats 5, complements a host of thoughtful features. 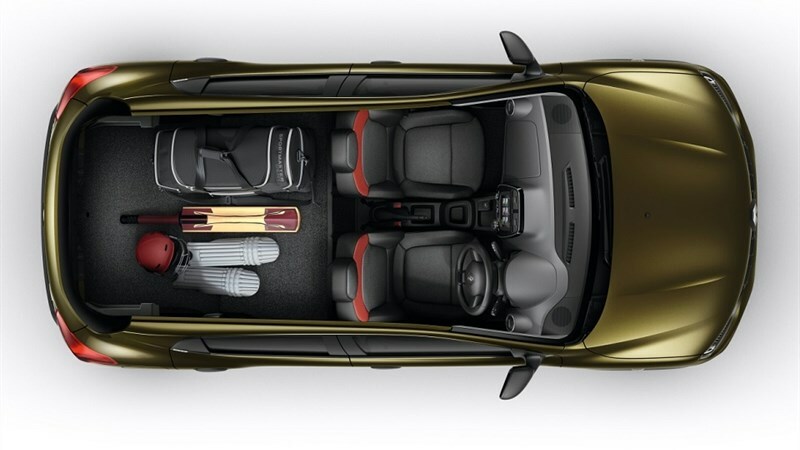 Its interior carries forward the same bold styling as the outside. 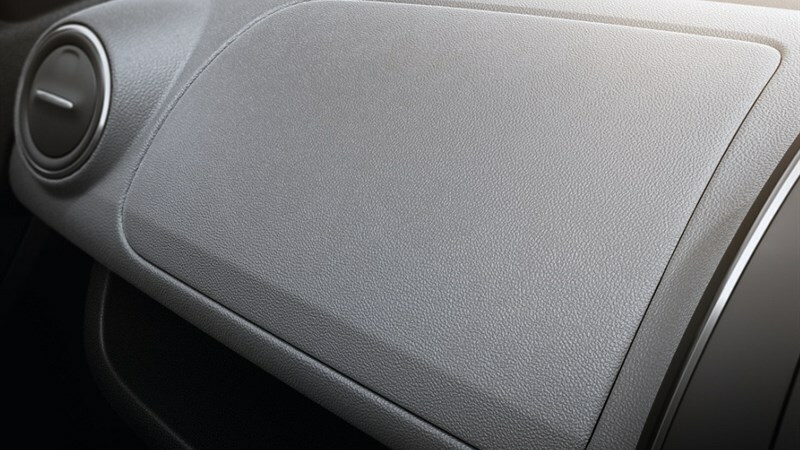 The horizontal lines of the dashboard convey an impression of width and refinement. The piano black centre fascia with chrome surround harmoniously houses the centrally-positioned Multimedia system. 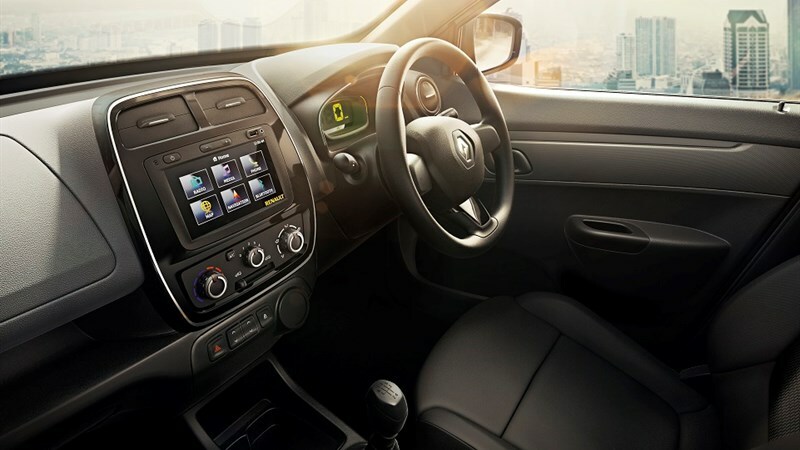 The chrome highlights continue on the side AC vents and control knobs, lending the Renault KWID a sophisticated edge. 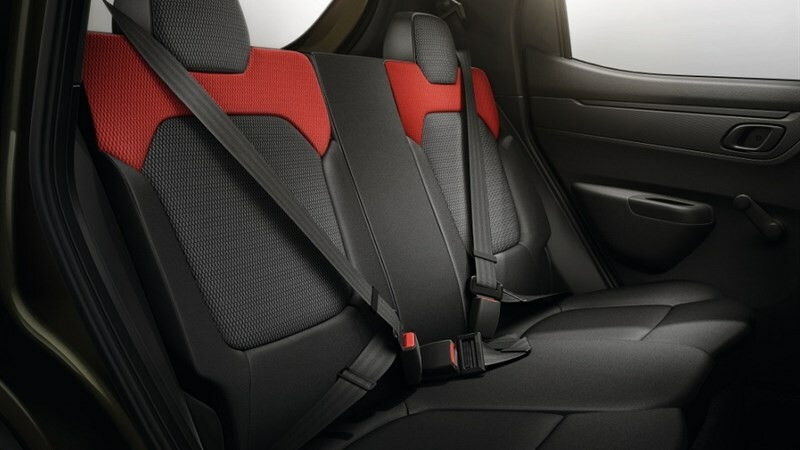 The black, red and grey fabric of the ergo smart cabin further gives the Renault KWID’s interiors a sporty feel.